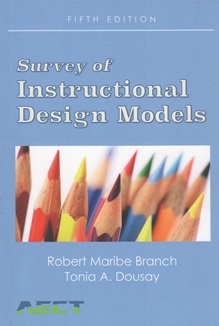 Since Survey of Instructional Development Models was initially published in 1981, successive editions have provided practitioners and students of instructional design with up-to-date information every few years. This fifth edition, with the title slightly altered to Survey of Instructional Design Models, attests to the high quality and enduring utility of this volume. The principles on which many of the models described in this new edition build tend to change little over time, whether since the first edition in 1981 or since the more recent fourth edition, which was published in 2002. However, technological advances have occurred—and continue to occur—rapidly, and the effects on teaching and learning of such advances can be dramatic. Consider just a few of the technological advances that have occurred between publication of the fourth edition in 2002 and this new, 2015 fifth edition.